What would easily be the world’s deadliest war in 2011 could erupt in Sudan around the coming January 9 referenda on self-determination for oil-rich Southern Sudan and Abyei. But this doesn’t have to happen. War is not inevitable. There is a peace deal locked away underneath all the fiery rhetoric from the Sudanese parties, the lack of progress in earlier peace process rounds, and the rapid military buildup around the border between North and South. The solution involves a grand bargain between three entities: 1) the ruling party in the North, the National Congress Party (NCP), 2) the ruling party in the South, the Sudan People’s Liberation Movement (SPLM), and 3) the United States, whose future post-referendum relationship is of grave importance to the two Sudanese parties. The deal should be rooted in the Comprehensive Peace Agreement, not a renegotiation of it. New post-referendum arrangements are needed. In constructing the U.S. incentives, maintaining the linkage between Darfur and the South in the context of an all-Sudan peace strategy is crucial. 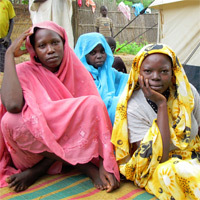 The resolution of Darfur needs to be linked to ongoing efforts to prevent war between North and South. The ruling NCP has effectively played off the South and Darfur against each other for the last seven years, leaving divided diplomats ineffective at fulfilling the promises of peace. The time has come for bold diplomacy, in which the interests of the parties are addressed in a way that lays the foundation for a lasting peace in all of Sudan. Any agreement preventing a return to war would necessarily involve the NCP and SPLM. But it will also involve the United States, because the post-referendum relationship the U.S. will have with the two parties will have enormous influence over whether a deal gets done. What follows is the outline of a grand bargain that is politically achievable and demonstrates one way to address the interlocking compromises that can result in peace. Southern referendum: hold the referendum on time and respect and implement fully its results. Abyei: if the Abyei referendum does not happen on time, transfer administrative control of Abyei to the South, using boundaries defined by the Permanent Court of Arbitration. There are a number of options that could support the Misseriya population living north of Abyei and passing through on their grazing routes: a) a dry season integrated police force composed of both Misseriya and Dinka; b) a border security fund to support traditional and new mechanisms of cross-border conflict management and ongoing reconciliation efforts between the Dinka and Misseriya; c) a percentage of Abyei’s oil revenue that would accrue to the Misseriya community; d) a development fund to which contributions are made by the GOSS, GOS and international community; e) internationally guaranteed (and possibly internationally monitored) rights of grazing passage across the border into the South during the dry seasons; f) some form of autonomous administrative arrangements for the areas which the Misseriya inhabit seasonally in the northern part of Abyei; and g) a possible delay or interim period before the transfer of administrative control to the South. Wealth sharing: recognizing that the South will use the pipeline infrastructure running through the North for the foreseeable future, and based on the fact that a great deal of oil falls in territory disputed between North and South, construct a significant revenue sharing deal in which areas on or close to the border would be subject to higher percentages than those areas farther away. Alternatively, share existing debt obligations as a means of addressing the economic repercussions of the referenda results. Border demarcation and related issues: demarcate the uncontested eighty percent of the border and refer the remaining twenty percent that is contested to binding international arbitration, as well as providing cross-border rights of passage for other border communities outside the Abyei area. Citizenship: create serious minority protections with consideration for dual citizenship for certain populations, backed by significant international consequences for attacks on southerners in the North or northerners in the South. Relationship between North and South: allow for a common currency for an extended period of time and other measures to promote North-South trade, investment, and economic cooperation. Create security guarantees rooted in non-interference in each other’s internal affairs. South Kordofan and Blue Nile: intensify international support for ensuring the completion of the promised popular consultation processes for South Kordofan and Blue Nile states. U.S. relationship: in exchange for the necessary actions on North-South and Darfur peace efforts, the U.S. would outline a clear and binding path to normalization of relations that would involve – sequentially – removal of Sudan from the State Sponsors of Terrorism list, exchange of ambassadors, lifting of unilateral sanctions, and support for bilateral and multilateral debt relief and other economic measures by the international financial institutions. In this potentially deadly game of poker, in which neither the SPLM nor NCP has laid down their cards yet, both sides somehow have to win. That means it can’t just be a deal between them alone. Many others have to pony up at the table. A larger economic relationship between the international community and the two parties has to be envisioned, because the pot of winnings is about to be re-divided to the benefit of one side, so the overall pot has to be increased. That means international contributions are crucial. As stated above, the United States has a direct role to play in a grand bargain for peace. But just as the Obama administration needs to have a set of meaningful incentives on the table in response to peace in the South and Darfur, the U.S. must have an equally robust set of consequences prepared in case one of the parties plunges the country back to war. And though some front-loading of incentives might make sense to demonstrate seriousness, the U.S. must avoid a scenario in which incremental moves on the North-South front are triggering rewards while the NCP is still committing grave human rights abuses in Darfur. Two specific and sequential benchmarks would be for the government of Sudan 1) tofully abide by previous commitments to end offensive military operations and aerial bombing, and allow unfettered access for humanitarians and peacekeepers; and 2) to implement a comprehensive peace deal with key rebel factions and other Darfurian groups willing to participate in negotiations. What must be avoided is a situation where Khartoum is rewarded for progress in the South while it is escalating or obstructing any peaceful return of the three million people it displaced during Darfur’s genocide. Just as the administration has enhanced diplomatic efforts with respect to the North-South negotiations, similarly a special representative focused exclusively on Darfur should be appointed immediately. Indeed, the path toward normalization should be sequenced on the basis of verifiable and significant progress on the ground on both the North-South and Darfur fronts. China, the biggest foreign investor in Sudan, can play a very positive or negative role. If it supports the NCP without reservation, it could encourage the NCP to move down the path of war to secure the oilfields by force. If it plays a constructive role, it could provide additional leverage influencing the calculations of the NCP to pursue a peaceful outcome. China’s assets are certainly at risk in an extended war scenario. The southern army has no doubt increased its ability to disrupt the oil infrastructure during the eight years since it last attempted to attack the pipeline. China has a huge interest in peace and stability, and could increase its economic stake even more in the region if it bids on future oil projects in the South, including a possible second pipeline system to Kenya. Given China’s energy investments in both Chad and Sudan, and possible future partnership with a sovereign Southern Sudanese government, Beijing’s involvement now in securing a more constructive attitude from the NCP and emphasizing that a military solution is unacceptable would be a potential game-changer. We believe the U.S. should dispatch quietly an emissary who could deliver a message from President Obama and invite the Chinese to take a more direct role in encouraging peace in Darfur and the South. Egypt has an even larger national security interest than China in Sudan’s future stability. Egypt’s future irrigation and industrial needs require a major increase in the northward flow of the Nile River. In 1983, the eruption of the North-South war ended a massive project to build a canal in Southern Sudan aimed at dramatically increasing the Nile’s northward flow. The resumption of a project of this kind – with appropriate environmental protections and local community consultations – is essential for Egypt’s economic future, but will not happen if war resumes between North and South Sudan. Thus, Egypt’s diplomatic interventions with its tactical ally in Khartoum would, like China, increase the odds that the NCP would be willing to negotiate more constructively. Both Egypt and China would lose a lot in a messy, protracted, and violent divorce between the North and South. The African Union has the lead in the peace process and must play a stepped up role in promoting a deal between the North and South as well as meaningful progress on Darfur. Accepting the results of the referendum and ensuring the NCP does as well will be a huge task for which the African Union is uniquely positioned. The Arab League also can play a major role in creating an enabling environment for peace. Post-referendum investment pledges by Arab League members and political support for the outcome of the referendum would contribute to momentum towards a solution. The European Union can supplement the package of incentives and pressures that the U.S. is constructing, and can be a significant force multiplier if such parallel packages are coordinated. Holding firm on conditioning future expansion of economic relationships to a peaceful referendum and transition in the South as well as progress in Darfur would help marshal the parties in the right direction towards peace.